Meditation is another general therapeutic practice involved in yoga that works wonders for relaxing the mind. The only equipment required for meditation is a chair or a yoga blanket. Meditation classes can be supported with the presentation of visual aids as well as information about breath work that can slow down a pacing mind and induce relaxation. 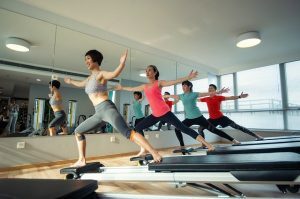 Moderate yoga classes are considered as the successors of gentle yoga classes in which people would be involved in the practice of improved balancing and strengthening exercises on an intermediate level. Among the many practices that can be found on a Long Island Yoga Community website, Vinyasa yoga is the most highlighted one. The specific form of yoga is associated with the focus of participants on establishing harmony between conscious breathing and a vigorous as well as mindful flow. The multiple strengthening and balancing exercises involved in Vinyasa yoga are capable of ensuring prolific improvement in flexibility and strength. 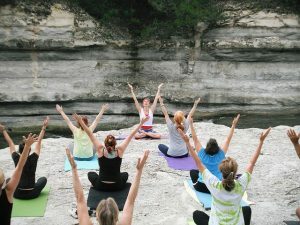 Another promising class which is included in different yoga community is the slow flow Vinyasa yoga in which classes are taught at a moderate level. Students would improve their management of time in the practice with ample time being available to participants for engaging mentally with their body over the course of various assorted poses. The use of time is specifically directed towards holding the poses for longer periods thereby enabling students to learn more about the pose and experience their breath in the course of the activity. Not only does a yoga community engage in the above mentioned traditional imperatives of the ancient Indian discipline, but it also fosters the practice of Tai Chi which is a Chinese martial art intended for improving health and well being of individuals practicing it regularly. This is often practiced in a hot room. Our facility recently underwent a lower level addition to accommodate. Tai Chi has been attributed as a formidable resource to create a balance between beauty and power as well as strength and grace.